March 2019 – State Of Mankind – How much do you know? The CCP’s foreign propaganda attempts to advance with the times. Overseas stations implement a localization strategy, recruiting mainly local reporters and presenters. A photo of Xi Jinping’s video interview with CCTV stationed in the United States shows that 90 percent of the journalists are not Chinese. The content of the programs is transferred from China to foreign countries, and the reporters are hired locally. China’s state-run media thus produces local packaging in the target country — using local faces and voices, but spouting the Communist Party’s thinking and conflating the CCP with China. It uses locals abroad to spread the CCP’s stories and the CCP’s voice — not China’s true stories and not the voice of the Chinese people. This is the character of the CCP’s external propaganda push. The CCP also provides scholarships to younger generations of international journalists, including in the areas of food and education, so they can get trained or study in China, and at the same time be instilled with the CCP’s view of journalism. CCP propaganda has largely been unsuccessful due to a lack of credibility. However, making foreign media the spokesperson of the CCP’s media, ruthlessly attacking the media and individuals who criticize the CCP, and forcing everyone to support the CCP are all part of the recipe of the CCP’s external propaganda campaign. In 2015, the foreign ministers of ten countries condemned the CCP for building artificial islands in the controversial South China Sea. At this time, a radio station in the Western suburbs of Washington, D.C., sounded a different note. Not only did it not mention the CCP’s reclamation activities, but it claimed that external forces had attempted to fabricate the facts and aggravate tensions in the South China Sea. This station, called WCRW, voices a great deal of content expressing the position of the CCP — and curiously, it runs no advertising. Its only customer is a Los Angeles company, G&E Studio Inc., itself 60 percent controlled by China Radio International (CRI) in Beijing. G&E has at least fifteen similar stations running in the United States, covering not only Washington, D.C., but also Los Angeles, Salt Lake City, Atlanta, Philadelphia, Houston, Honolulu, Portland, and Vancouver, among others. The Chinese Communist Party’s mouthpiece, China Radio International (CRI), relies on a local company registered under the name of a Chinese-American. With controlling shares, it uses local U.S. radio stations to promote CCP propaganda. The biggest benefit of this operation, and the apparent reason for it, is to conceal the role of the CCP. In order to maximally mislead the audience, listeners are made to feel that Americans themselves are expressing their support for the CCP. In 2015, CRI ran thirty-three such stations in at least fourteen countries. By 2018, CRI had fifty-eight stations in thirty-five countries. Because the control and operations are carried out through the use of local Chinese companies, it seems that democratic countries are helpless to do anything about the situation legally, although many people are unhappy with the Party’s hidden propaganda. The CCP’s external propaganda push has taken advantage of the loopholes in democratic societies. In the name of democracy, the CCP advocates for dictatorship and attempts to manipulate the audience into adopting its views by exploiting loopholes in the laws of free societies. Thus, in the name of democracy, it aims at destroying democracy. The China Daily‘s inserts, which in Chinese are summed up with the phrase “making a voyage on a borrowed ship,” are another important part of the CCP’s external propaganda campaign. China Daily publishes a Chinese news insert in The Washington Post and uses a layout style that can give readers the impression that it’s The Washington Post’s content. In addition to The Washington Post, the CCP has struck similar deals with over thirty newspapers, including The New York Times, The Wall Street Journal, The Daily Telegraph, and Le Figaro. The word “advertising” on the insert is placed in an inconspicuous location, and readers can easily mistake the material for the newspapers’ own content. On September 23, 2018, the China Daily also inserted four pages of advertisements that looked like ordinary news and commentary in the local Iowa newspaper Des Moines Register. The material attacked the U.S. president, and some called it an attempt to influence the midterm elections. The Communist Party excels in controlling overseas Chinese media. Through coercion and enticement, the CCP has recruited a large number of Chinese-language media, including some founded by Taiwanese with a previously strong tradition of anti-communism. The CCP-sponsored World Chinese Media Forum is used as a platform to communicate the party’s instructions to Chinese media around the world. On September 10, 2017, the Ninth World Chinese Media Forum was held in Fuzhou. More than 460 overseas Chinese media executives from over sixty countries and regions on five continents attended the meeting. An example of the impact of this media-control work can be found in the reporting of a California-based Chinese-language media outlet that amplifies CCP propaganda in the Western press. During the CCP’s Nineteenth National Congress, this media outlet’s lengthy reports were almost identical to those published by official Party media. During the Umbrella Movement protests in Hong Kong in 2014, the Overseas Chinese Media Association controlled by the CCP, with more than 160 media members, urgently organized 142 pro-China media outlets in Asia, Europe, Africa, the United States, and Australia to publish the “Safeguarding Hong Kong Declaration” supporting the CCP’s perspective. The extent and efficacy of the regime’s media penetration overseas has surprised the outside world. Suppressing opposing voices is another aspect of CCP overseas propaganda operations. The Party threatens journalists who expose them with visa denials and other forms of harassment, leading them to self-censor. The result is that there are few global media corporations that take a completely independent stance on the CCP without regard to consequences imposed by the regime. There are several ways a scoundrel might make others view him in a more positive light. One way would be to start from within, abandon evil, become good, and stop being a scoundrel. Other people would then over time naturally come to recognize the transformation. The second way would be to begin exerting pressure on others, trying to brainwash them into not recognizing the scoundrel for what he is. Finally, a scoundrel might even mount the most audacious plan, and attempt to use manipulation, lies, gaslighting, and brainwashing to turn everyone else into scoundrels too. This would offer the greatest protection. The CCP has used both the second and third methods simultaneously over decades. It employs a variety of large-scale propaganda activities to target foreigners, changing the minds of people to make them think that the CCP is no scoundrel at all. In some cases it’s even able to pull them into the mire, turning them into scoundrels along with the Party. Through extensive investments and shrewd operations, the Party has now established a worldwide system for creating alliances, isolating enemies, and turning neutrals into sympathizers or scoundrels. Cultural brainwashing is an important tool for the CCP’s destruction of traditional Chinese culture. In recent years, the Party has advertised its commitment to restoring traditional culture, but as discussed in previous chapters of this book, this wave of supposed restoration of traditional culture has in fact left out the soul of tradition, replacing it with a fake version infused with deviant Party culture. This has not only deceived the world, but has also further devastated traditional culture. On top of that, in order to further influence the world, one of the key elements of the Party’s external propaganda is to export so-called traditional Chinese culture as defined by the CCP, and to use traditional Chinese customs and practices to whitewash the CCP. This is another form of perception manipulation, or brainwashing. A typical example of this project is the Confucius Institute. According to incomplete statistics, as of the end of 2017, the CCP had established 525 Confucius Institutes (targeting colleges and universities) in 146 countries and opened 1,113 Confucius Classrooms (targeting elementary and secondary schools). The Confucius Institute’s funds come from Hanban, which is affiliated with the CCP’s United Front Work Department. The use of funds is supervised by personnel from the CCP’s embassies and consulates. Confucius Institutes subvert important academic principles of autonomy and freedom of inquiry, aim to promote the CCP’s version of events, distort the history of China, and omit the CCP’s appalling human rights record. In some Confucius Institute classrooms, quotations of Mao Zedong are hung on the wall. On the surface, Confucius Institutes claim to teach Chinese culture, but in fact they promote communist doctrine and transmit Party culture. The U.S. Government’s National Defense Authorization Act of 2019, adopted in 2018, includes a strongly worded condemnation of the CCP’s attempts to influence U.S. public opinion, especially “media, cultural institutions, businesses, and academic and political groups.” The Act explicitly prohibits any National Defense funds from being given to Chinese-language departments in U.S. universities where there is a Confucius Institute. 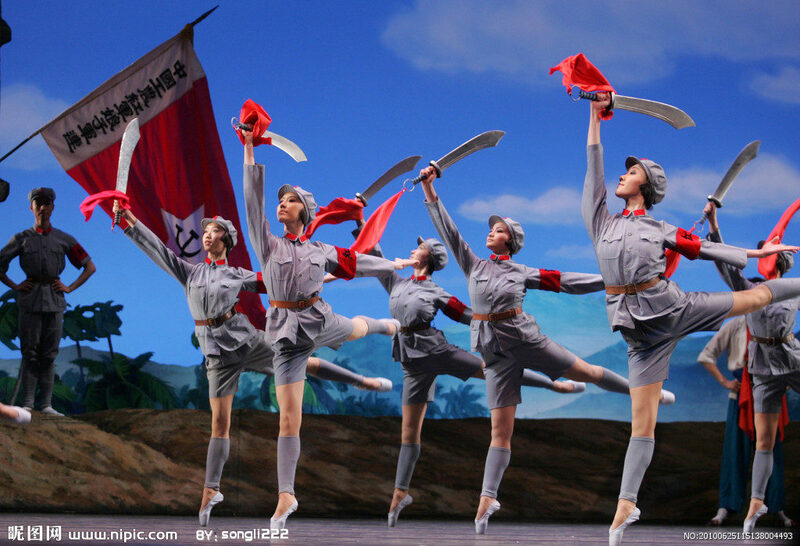 From September to October 2011, Chinese authorities dispatched a song-and-dance troupe of three hundred performers to the Kennedy Center for the Arts in Washington, D.C., where the CCP staged its violent communist dance-drama Red Detachment of Women. In September 2016, in Los Angeles, a high-profile concert was held to commemorate the eightieth anniversary of the victory of the Red Army’s Long March. At the same time, in Australia, the performance Red Songs Concert to Commemorate the 40th Anniversary of Mao Zedong’s Death was held at the Sydney and Melbourne city halls. Local Chinese organizations in Australia protested and were finally able to stop the show. In 2017, the CCP sent the Red Detachment of Women performance to Australia, and in 2018, staged another violent communist dance-drama, Red Guards on Honghu Lake, in Sydney and Melbourne. When it comes to information warfare, the CCP’s totalitarian regime occupies the high ground compared to democratic regimes: The Party blocks media from all democratic countries, but is able to insert its state-run media in democratic societies. The CCP prevents media from democratic countries from adding inserts to its media, but the CCP can insert its own content into the media from democratic societies, or it simply acquires them when convenient. CCP media serve the Party first and foremost, and Western journalists will never have executive roles. The CCP can, however, send its own undercover people into Western media or train foreigners into being mouthpiece reporters for the Party’s media. As long as the West still regards the CCP media as legitimate, the West will continue to lose in the information war. In 2018, the U.S. Department of Justice ordered Xinhua News Agency and China Global TV Network to register as foreign agents in the United States. It was a correct step, but is still far from sufficient — the problem is the lack of reciprocity in the first place. The CCP’s foreign propaganda campaign is a major project aimed at globally reshaping the public’s views on the regime, and has met with some results. The CCP spreads its noxious ideology through this propaganda work, and has severely mislead people about the regime, its mode of operations, China’s human rights situation, and views on communism in general. At the 2018 Zhuhai Airshow in China, the debut of the CH-7 Rainbow drone caught the attention of military experts. The Rainbow series signifies that China has caught up in the technology for developing armed drones. A large number of CH-4 Rainbows have taken over the military markets of Jordan, Iraq, Turkmenistan, and Pakistan, countries that were restricted from purchasing armed drones from the United States. The latest CH-7 Rainbow, in some ways, is as well-equipped as X-47B, the best the United States has to offer. An observer noticed that the latest CH-7 was revealed at the 2018 Airshow in China before it was tested by the PLA. The video played at the airshow simulated the drones combating the enemy, which was clearly the U.S. military. All of these moves clearly show China’s ambition to challenge the U.S. hegemony. In recent years, as China’s military power became more developed, its ambition couldn’t stay unnoticed. Chinese vessels followed and harassed a U.S. surveillance ship (USNS Impeccable) in the South China Sea while it was conducting routine operations in international waters . In 2015, a Chinese military theorist and author of Unrestricted Warfare: China’s Master Plan to Destroy America made the following statements: “One Belt, One Road policy requires the army to have expeditionary ability.” “The Chinese land forces must take a flying leap and revolutionize itself.” “The national interests that come with One Belt, One Road are an enormous incentive for the Chinese army to reform.”  All this fuels Beijing’s aim to become a land-based superpower. China’s goal is to first break through the boundaries of the first island chain and head to the open waters of the Pacific and Indian oceans. The first island chain stretches from the Kuril Islands in the north to the islands of Taiwan and Borneo in the south. The chain surrounds the Yellow Sea, the East China Sea, and the western Pacific Ocean. The purpose of China’s expansion in the South China Sea was to break through the first island chain. China built islands and militarized reef islets in the South China Sea. It equipped them with airports, shore-based aircraft, and missiles. Currently three strategically important islets in the South China Sea, namely Fiery Cross Reef, Subi Reef, and Mischief Reef, have been fortified with anti-ship cruise missiles, surface-to-air missiles, and airfields. The islands have essentially formed stationary aircraft carriers that can be used in the event of military conflict. At the strategic level, the Chinese navy is capable of breaking through the boundaries of the first island chain and has the capability to fight in the open ocean. The dominance of the South China Sea isn’t an issue of territory, but of global strategy. Each year, close to US$5 trillion in merchandise moves through the South China Sea. For China, its Maritime Silk Road begins with the South China Sea, and an estimated 80 percent of its oil imports are projected to travel via the region. 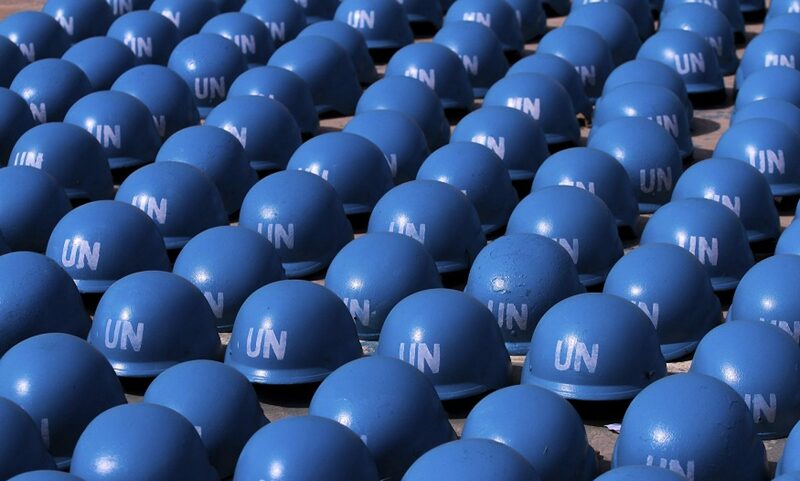 Peacekeeping in the South China Sea following World War II fell to the United States and its allies. This poses a big threat to the Chinese regime, which is preparing to go to war with the United States and deems the South China Sea a key area for its economic growth and military expansion. Masking its efforts with the excuse of safe passage for energy and freight, China’s active expansion in the South China Sea has tipped the balance of power in the region and increases the possibility of military conflict. One expert pointed out that “Chinese perception of the SCS as a security concern has led to an erosion of security in the region.”  This standpoint echoes that of Bannon. In 2017, the Chinese military established its first overseas military base in Djibouti. Western scholars believe that Chinese military officials are looking beyond the Western Pacific Region and considering how to project power ever farther abroad. For example, the CCP has recently been active in the Pacific Island countries, regardless of costly investments. Its long-term goal is that in the future, these island countries serve as supply stations for the PLAN’s blue-water fleet. The military expansion of the CCP is not limited to the traditional divisions of land, sea, and air; it is also making advances into the realms of space and electromagnetic warfare. The CCP’s military ambitions are backed by vast reserves of manpower, equipment, and funding. The CCP regime maintains the largest regular army in the world, with two million active military personnel. The People’s Liberation Army also has the largest ground force in the world, the largest number of warships, the third-most naval tonnage, and a massive air force. It has a trinity nuclear strike capability consisting of intercontinental ballistic missiles, ballistic-missile submarines, and strategic bombers. The Chinese regime also has 1.7 million armed police personnel, which are under the unified leadership of the CCP Central Military Commission, and a large number of reserve and militia units. The Party’s military doctrine has always stressed the importance of “people’s war.” Under the CCP’s totalitarian system, it can quickly impress all available resources to military use. This means that the CCP has a pool of over a billion people (including overseas Chinese) from which it can draft huge numbers of people into militia service. China’s GDP increased rapidly between 1997 and 2007. The CCP relies on economic power to rapidly expand armaments production and upgrade its arsenal. It is estimated that by 2020, the PLA ground forces will have five thousand modern main battle tanks. The PLAN will have at least two aircraft carriers in its fleet. Ninety percent of PLA Air Force fighters are of the fourth generation, and China has begun to introduce fifth-generation fighters. In early 2017, China announced a 6.5 percent inflation-adjusted increase in its annual military budget to US$154.3 billion. Analysis of data from 2008 through 2017 indicates China’s official military budget grew at an annual average of 8 percent in inflation-adjusted terms over that period. Observers estimate that the actual military spending of the CCP is twice as much as what is officially acknowledged. Aside from this, the military strength of the regime is not fully reflected in military spending because its actual military expenditure is higher than the public figures, and the CCP can requisition many civilian resources and manpower at its discretion. The entire industrial system can serve the needs of war, which means its true military capabilities far exceed official data and the usual estimates. The CCP will build a global system consisting of more than thirty Beidou (Big Dipper) navigation satellites by the end of 2020, with global GPS military positioning capabilities. The mass production of the Rainbow series of military drones serves more tactical considerations for the CCP. For example, in the Taiwan Strait layout, the CCP may gain advantages through its unmanned aircraft machine-sea tactics. A large number of aerial drones can form clusters under the control of satellites and artificial intelligence, making them useful in regional and asymmetrical conflicts. 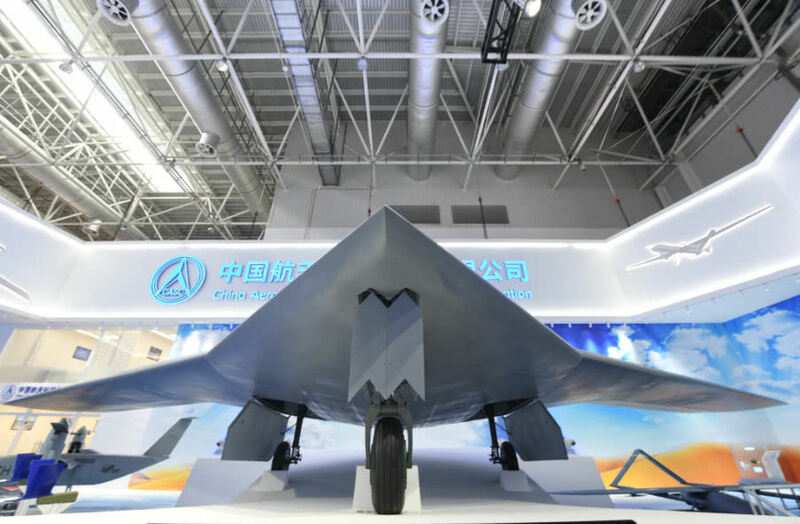 The stealth fighter Chinese J-20, which was unveiled at the Zhuhai Air Show, resembles the American F-22, while the Chinese J-31 appears modeled on the F-35. The PLA is closing the gap with the United States in the development of modern jet fighters. In addition, the CCP uses a broad range of espionage to catch up with the United States in technology. According to some recent estimates, more than 90 percent of espionage against the United States conducted via hacking comes from China, and the CCP’s networks infiltrate large American companies and the military, stealing technology and knowledge that the Chinese cannot develop independently. China’s drone technology was stolen from the United States. The CCP relied on its research and development of Dongfeng 21D missiles (anti-ship ballistic missiles for use against U.S. aircraft carriers) to conduct similar sniper-mode confrontation. In 2018, the CCP publicly exhibited the land-based Eagle-Attack-12B supersonic anti-ship missile, known as the “aircraft carrier killer.” It has drawn a 550-kilometer “death zone” in the western Pacific, in which American carrier battle groups will be susceptible to ultra low-altitude saturation strikes. These missiles become an important military means of the PLA’s regional denial operations aimed at preventing U.S. military intervention. Following the rapid expansion of its military power, the CCP regime has become a huge weapons exporter to the world’s authoritarian regimes, such as North Korea and the rogue regimes of the Middle East. On the one hand, the goal is to expand its military alliances, and on the other hand, to disperse and counter U.S. military power. The CCP regime spreads and encourages anti-American sentiment and hatred. It is easy for the CCP to unite with other anti-American regimes to further its hegemonic ambitions. Zhu Chenghu, dean of the Defense College of the National Defense University of the People’s Republic of China, publicly stated that if the United States intervenes in a war in the Taiwan Strait, China will preemptively use nuclear weapons to raze hundreds of cities in the United States, even if all of China to the east of Xi’an (a city located at the western edge of China’s traditional boundaries) were destroyed as a consequence. Zhu’s statements were a public display of the CCP’s ambitions and a means of probing reactions by the international community. Being geographically close to the United States, Latin America has historically been within America’s sphere of influence. Although there were a number of socialist regimes that appeared in Latin America when the tide of communism swept over the world during the mid-twentieth century, external influences never posed a threat to America. After the collapse of the Soviet Union, the CCP began to target Latin America. Under the banner of “South to South cooperation,” it started engaging in an all-of-society infiltration of the region, penetrating into areas like economy, trade, military, diplomacy, culture, and the like. The governments of many Latin American countries, like Venezuela, Cuba, Ecuador, and Bolivia, were already hostile toward America, and the CCP made full use of this when it extended its tentacles across the ocean, further aggravating the tensions these nations had with America and heightening their anti-American stance. On one hand, this would weaken the advantage the United States had in the region. On the other hand, the CCP could freely operate in America’s backyard, support the socialist regimes in Latin America, and thus lay the groundwork for long-term confrontation with the United States. It is no exaggeration to say that the CCP’s infiltration and influence in Latin America have far exceeded what the Soviet Union had achieved in the past. First, the CCP used foreign trade and investment to expand its influence in Latin America. According to a report from the Brookings Institution, a U.S.-based think tank, in 2000, China’s trade with Latin America was only US$12 billion, but by 2013, it had ballooned to US$260 billion, an increase of more than twenty times. Prior to 2008, China’s loan commitments didn’t exceed US$1 billion, but in 2010, it had increased to US$37 billion. From 2005 to 2016, China pledged to loan US$141 billion to Latin American countries. Today, the loans from China have exceeded those from the World Bank and the Inter-American Development Bank combined. The CCP has also promised that it would provide Latin America with US$250 billion of direct investment by 2025 and that bilateral trade between China and Latin America would reach US$500 billion. Latin America is currently China’s second-largest investment target, directly after Asia. All the while, the CCP has deployed its state companies to turn Latin America into its resource base, with examples being Baosteel’s vast investment in Brazil, and the control Shougang has over the iron mines in Peru. The CCP has also shown great interest in Ecuador’s oil and Venezuela’s fuel oil and gold mines. At the China-Argentina bilateral summit held in Beijing in 2015, if the agreements between both countries were finalized, they would mark a new phase of military cooperation between the two countries. This included the joint production of advanced, high-end products, including the establishment of the CCP’s first space-tracking and control station in the southern hemisphere within the borders of Argentina. It also included the sale of Chinese-made fighter aircraft to Argentina, with the total value amounting to between US$500 million and US$1 billion, exceeding the CCP’s total arms exports of US$130 million in 2014 across the Latin American region. On the diplomatic front, due to the CCP’s incentives and threats, Panama, Dominica, and El Salvador have chosen to sever diplomatic ties with the Republic of China (Taiwan) and instead embrace the communist People’s Republic of China. In June 2017, Panama announced that it had established relations with the PRC and ceased diplomatic relations with Taiwan, which had lasted over a century. Three years ago, the CCP started actively planning to invest in Panama’s infrastructure, such as ports, railways, and highways, with the total amount of investment reaching TWD$760 billion (about US$24 billion). China has already acquired control over both ends of the Panama Canal, which is of great international strategic importance. On the cultural front, the CCP has established thirty-nine Confucius Institutes and eleven Confucius Classrooms in Latin America and the Caribbean, with total enrollment exceeding 50,000. Confucius Institutes have been identified as institutions used by the CCP for spying, as well as transmitting Party culture and the ideology of the CCP under the guise of traditional Chinese culture. The expansion and infiltration of the CCP regime in Latin America is a serious threat to the United States. By using access to the Chinese market, dependence on economic investment and military aid to sway the policies of Latin American governments, China is able to pull them into its own sphere of influence and pit them against the United States. The canals, ports, railways, and communications facilities the CCP builds are all important tools that will be used in the future for expanding and establishing its global hegemony. After World War II, Africa underwent decolonization, and many African countries gained independence. As technology and capital were transferred from the West to China, Africa gradually lost the attention of the West. 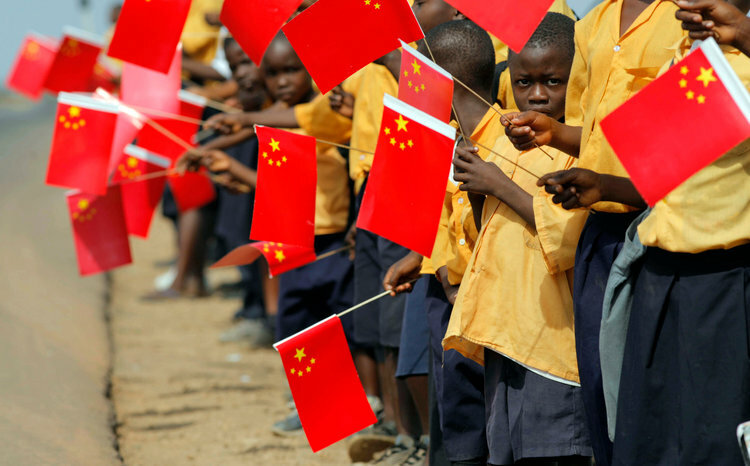 Strengthened by the West, the Chinese Communist Party steadily encroached on Africa. The forces of the CCP started replacing what the Western sovereign powers had set up in Africa and infiltrated its politics, economy, and society. On one hand, the CCP has wooed African states under the banner of aiding those countries’ development, creating a united front against the United States and other free countries in the United Nations. On the other hand, through economic bribery and military aid, the CCP has relentlessly manipulated African governments and opposition groups, controlling the affairs of African countries while imposing the Chinese model and its values on them. From 2001 to 2010, the CCP-controlled Export-Import Bank of China supplied US$62.7 billion dollars in loans to African countries. The interest rates on these loans were relatively low and superficially do not appear to come with political conditions, but because these loans use natural resources as collateral, the CCP has obtained the effective rights to extract massive amounts of resources. In 2016, China became Africa’s biggest trading partner and foreign direct investor. In Africa, the CCP’s management model has been roundly criticized for its many ills: low wages, poor working conditions, shoddy products, “tofu-dreg engineering,” environmental pollution, bribery of government officials, and other corrupt practices. China’s mining operations in Africa also frequently met with protests from the local people. Michael Sata, former president of Zambia, said during his presidential campaign in 2007: “We want the Chinese to leave and the old colonial rulers to return. They exploited our natural resources too, but at least they took good care of us. They built schools, taught us their language and brought us the British civilisation. At least Western capitalism has a human face; the Chinese are only out to exploit us.”  In Zambia, Chinese influence can be seen everywhere. Sata was faced with no choice but to make deals with the CCP. Once he gained power, he immediately met with China’s ambassador, and in 2013 visited China. Sudan was one of the earliest bases that the CCP established in Africa, and over the past twenty years, the CCP’s investment in Sudan has grown exponentially. Apart from its abundant oil reserves, Sudan’s strategic location at the Red Sea was also vital to the CCP’s plans. In the 1990s, when Sudan was isolated by the international community because of its support for terrorism and radical Islam, the CCP took advantage and rapidly became Sudan’s largest trading partner, purchasing most of the oil exported by Sudan. The investment by the CCP helped Bashir’s totalitarian regime survive and develop despite being contained by the West. The CCP’s military even exported weapons to Sudan during this period, indirectly facilitating the Darfur genocide in Sudan at the beginning of this century. The CCP spares few efforts in wooing developing nations. The Forum on China-Africa Cooperation was established in 2000 and first held in Beijing. In the subsequent forums that were held during key years, the leaders of the CCP threw money at Africa. In 2000, during the inaugural meeting, Jiang Zemin announced debt relief of 10 billion yuan for the poor countries in Africa. In 2006, when Beijing was again the host country of the summit, the CCP not only announced the relief of debt as of the end of 2005 for poor African countries it had diplomatic relations with , but also sent over US$10 billion in funding, credit, scholarships, and various aid projects. Ethiopia is not the only example. In 2018, the International Department of the Central Committee of the CCP held the fourth China-Africa Young Leaders Forum and the second China-Latin America Political Parties Forum in Shenzhen, Guangdong. The training was targeted at leaders and government officials. In the Cold War, Europe was at the center of the confrontation between the free world and the communist camp. America and Western European nations maintained a close alliance via the North Atlantic Treaty Organization. After the end of the Cold War, Europe began to decline in terms of economic and political importance. In order to drive a wedge between Europe and United States, the CCP adopted a strategy of dividing and conquering the European countries by adapting to local conditions to gradually penetrate and develop influence in Europe. In recent years, the differences between Europe and the United States on many major issues have become increasingly apparent. The CCP’s activities have had a hand in this. After the 2008 financial crisis, the CCP exploited the fact that weaker European economies were in urgent need of foreign investment. The CCP injected large sums of money into these countries in exchange for compromises on issues such as international law and human rights. The CCP used this method to create and expand the cracks between European countries, and reaped the benefits. Countries targeted by the CCP include Greece, Spain, Portugal, and Hungary. After the sovereign debt crisis in Greece, the CCP invested heavily there, exchanging money for political influence, and using Greece as an opening for building more influence in Europe. Within a few years, the CCP obtained a thirty-five-year concession for the second and third container terminals of Piraeus Port, Greece’s largest port, and took over the main transshipment hub at the port. Among the sixteen countries included in the framework, eleven are EU countries, and five are non-EU countries. The CCP has ulteriorly proposed a new model of regional cooperation, with the intent to divide the European Union being obvious. Additionally, among the sixteen countries, many are former socialist countries. These countries all have a history of communist rule, and have preserved many ideological and organizational traces of those regimes. To some extent, conforming to the CCP’s demands comes naturally to them. The United Kingdom, a traditional European power for much of history and an important ally of the United States, is also one of the CCP’s most prized targets. On September 15, 2016, the British government officially approved the start of the Hinkley Point C unit nuclear power project, a joint venture between China and a French consortium. Hinkley Point C nuclear power station is a nuclear power plant in Somerset, in southwest England, with an installed capacity of 3,200 megawatts. China commands a comprehensive and flexible influencing toolset, ranging from the overt to the covert, primarily deployed across three arenas: political and economic elites, media and public opinion, and civil society and academia. In expanding its political influence, China takes advantage of the one-sided openness of Europe. Europe’s gates are wide open whereas China seeks to tightly restrict access of foreign ideas, actors and capital. Implementation of the Communist Party’s peripheral strategy involved first creating pivotal states, which are then used as a base for achieving strategic goals in the entire region. According to the Party’s think tanks, pivotal states are countries that have considerable regional power that Beijing has the capability and resources to guide; they have no direct conflicts with the CCP in terms of strategic interests, and don’t share close interests with the United States. In addition to the aforementioned Australia, Kazakhstan, and others, examples of pivotal countries for the Chinese regime include Iran in the Middle East and Myanmar. In the Middle East, Iran receives the greatest Chinese investment. Iran is an important oil producer in the region and has been in ideological opposition to the West since the late 1970s, making it a natural economic and military partner for the CCP. Beijing has maintained close economic and military relations with Iran since the 1980s. Another pivotal state favored by the CCP regime is Myanmar, its neighboring country in South Asia. Myanmar has a long coastline, which provides strategic access to the Indian Ocean. The CCP regards the opening of a China-Myanmar channel as a strategic step to minimizing reliance on the Strait of Malacca. The Burmese military government’s poor human rights record has caused it to be isolated by the international community. The 1988 democracy movement in Myanmar was ultimately crushed with military force. The following year, in Beijing, PLA tanks opened fire on pro-democracy demonstrators in Tiananmen Square. Following the dissolution of the Soviet Union, the CCP has taken great efforts to develop and cement its relationship with Central Asian countries, like Kazakhstan, Kyrgyzstan, Tajikistan, Turkmenistan, and Uzbekistan. The goal of the CCP’s strategy in Central Asia can be viewed from several angles: For one, Central Asia is an unavoidable land route in China’s westward expansion. Further, when China constructs infrastructure to transport goods in and out of China, it can also expand its commercial interests in Central Asia. Secondly, China aims to seize the natural resources, including coal, oil, gas, and precious metals that are abundantly found in these countries. Thirdly, by controlling Central Asian countries that are geographically and culturally close to Xinjiang, China can tighten its control over ethnic minorities in Xinjiang. Beijing tends to support the corrupt authoritarian leaders of the Central Asian countries, and its opaque investment projects are considered beneficial primarily for the local social elites. The International Crisis Group’s report noted that each of the Central Asian governments is weak, corrupt, and fraught with social and economic unrest. The large infrastructure projects promoted by Beijing are not only linked to massive loans, but also involve official approvals and permits, which are based on vested interests. This gives rise to and worsens the corruption in these regimes. The fragile economic structures of Central Asian countries, in combination with massive infrastructure loans from China, leave these countries especially prone to falling into China’s debt trap. Turkmenistan is suffering from a severe economic crisis, with an annual inflation rate of over 300 percent, unemployment estimated at over 50 percent, severe food shortages, and rampant corruption. Now China is the only customer of Turkmen gas,  and also the largest creditor of its foreign debt, which stands at US$9 billion (estimated at 30 percent of GDP in 2018). It’s possible that Turkmenistan had no choice but to give its natural gas fields to China to pay off its debt. This country has put its economic arteries in Beijing’s hands. Despite their size, Pacific island nations have the critical strategic value of being able to serve as maritime bases. Their total land area is just 53,000 square kilometers (20,463 square miles) compared with their exclusive economic zones (EEZ) over ocean, which measure 19,000,000 square kilometers (7,335,941 square miles) — an area over six times the size of China’s EEZs. Developing greater ties with Pacific island nations is a publicly acknowledged component of the CCP’s military strategy. At the APEC summit held in late 2018 in Papua New Guinea, the rude and uncivilized behavior of Chinese officials shocked the locals and those in attendance. Chinese officials bluntly stopped journalists (including those of Papua New Guinea) from interviewing attendees at a forum held between Chinese leader Xi Jinping and leaders of the Pacific island nations. Instead, they demanded that all journalists refer to the Xinhua news release. Many more wonder why China has directed so much effort to Australia. What is the military strategic value of the CCP infiltrating Australia and exerting control there?